This lock secures the handle on your trailer's cam-action door latch kit. Just replace the hasp and padlock with this easy-to-use, secure vise lock. 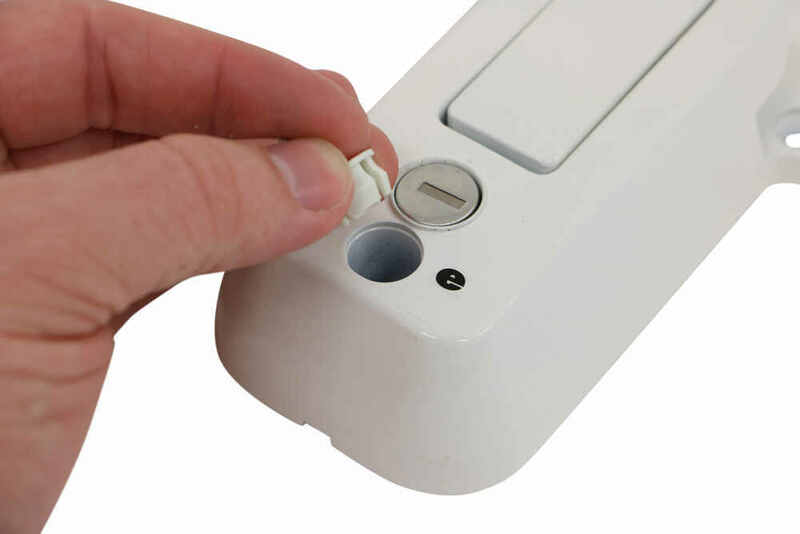 Spring-loaded lever ensures that the handle stays put, even if the device is left unlocked. Call 800-298-8924 to order Global Link enclosed trailer parts part number 295-000026 or order online at etrailer.com. Free expert support on all Global Link products. 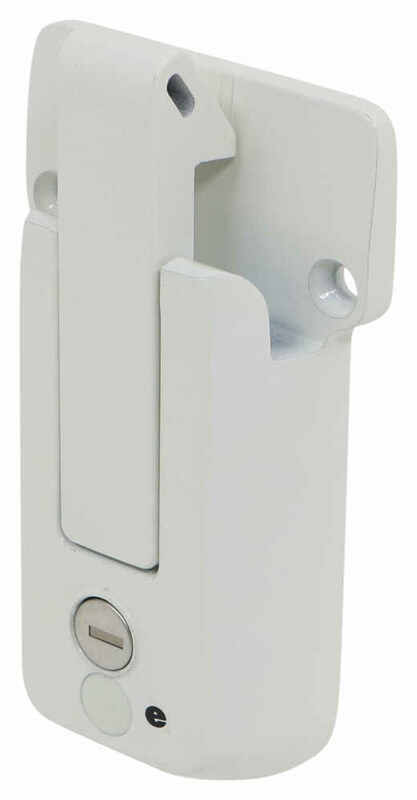 Guaranteed Lowest Price and Fastest Shipping for Global Link Vise Lock for Cam-Action Door Latch - Keyed Alike Option - White. Enclosed Trailer Parts reviews from real customers. This lock secures the handle on your trailer's cam-action door latch kit. Just replace the hasp and padlock with this easy-to-use, secure vise lock. 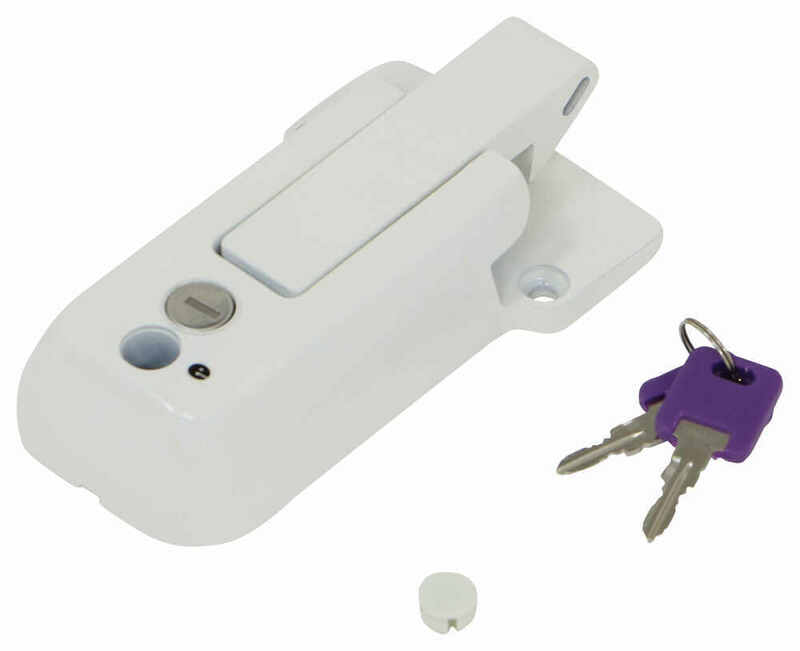 Spring-loaded lever ensures that the handle stays put, even if the device is left unlocked. 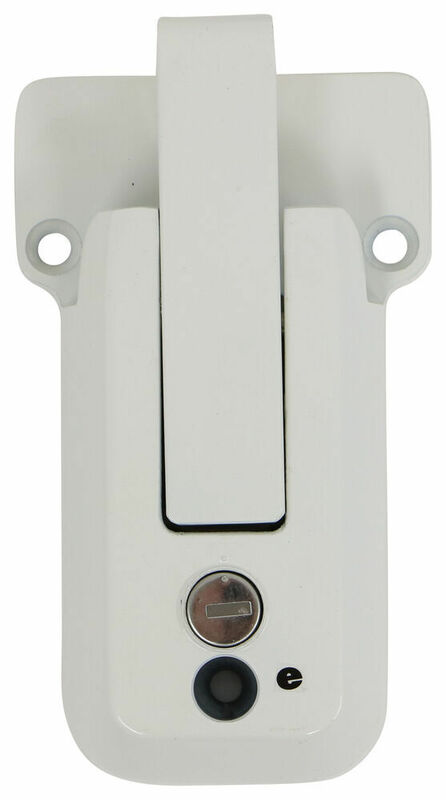 Can be keyed alike with other Blaylock push-button locks. Sturdy, rustproof lock deters theft of the contents of your enclosed cargo trailer. Its cam-and-keeper design, push-button lock, and recessed tumbler provide both security and peace of mind. 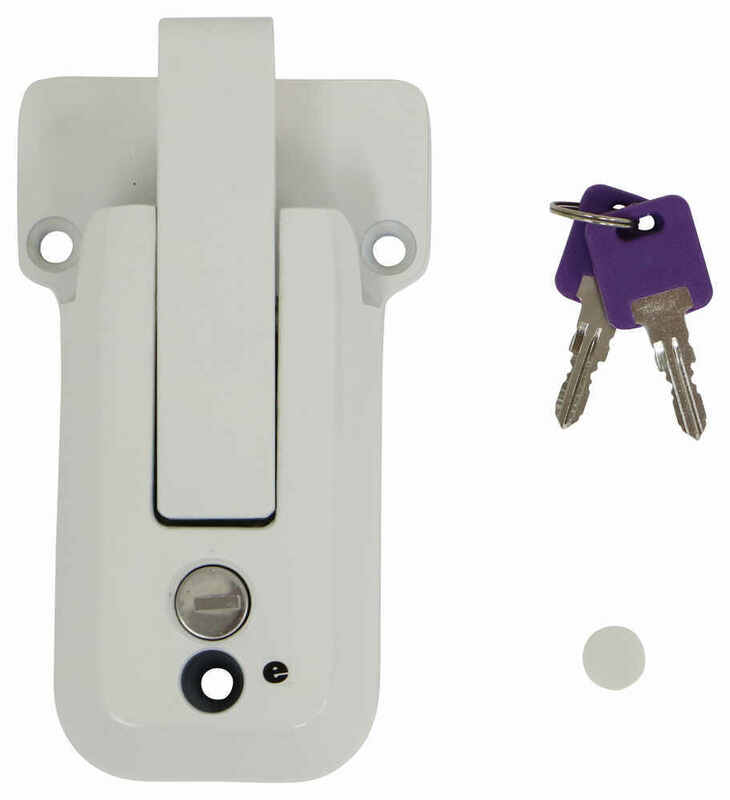 Today we're going to be taking a look at the Global Link Vice Lock for cam-action door latches. This vice lock secures the handle from the cam-action latch kit on your trailer. This is great for use on the ramp door of a toy-hauler or any enclosed trailer door to secure the bar style handle. It's going to feature the easy to use latch mechanism. It's got the raised portion right here so when your handle goes in this slot and pushes down that latch, it will automatically latch when you drop the handle into place. That is a spring-loaded lever that ensure that the handle stays in place even if the device is left unlocked. 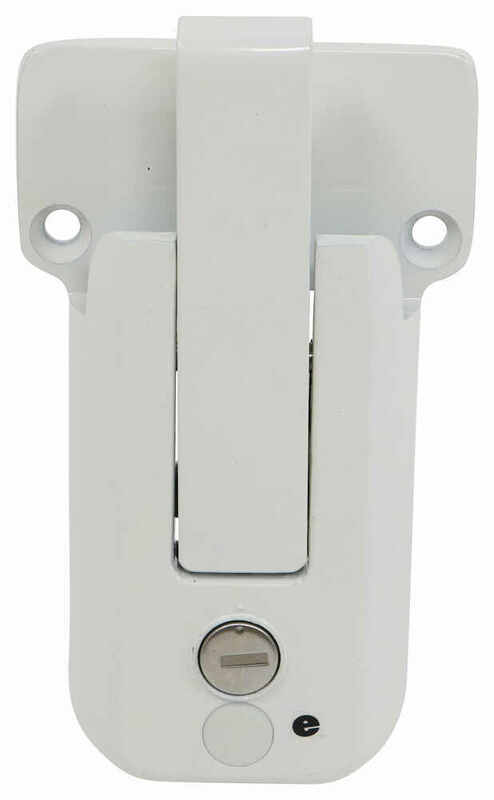 The small slot located right here in the latch allows you to attach something to the lock or to that latch for easier grip when opening the unit. Now, this type of lock is a lot more secure than the standard hasp with the padlock. It cannot be as easily unbolted from a trailer like a hasp, and it cannot be as easily cut like a padlock, so if you're looking for something for your trailer that's going to offer more security, this would be a great choice. It would be a really wonderful solution. You don't have to keep track of a padlock. You don't have to worry about rust or corrosion damaging a padlock or making it hard to open. This is just an overall well-rounded unit that's going to be a great addition, again, to any toy-hauler to any enclosed trailer that uses a bar style handle. It's also going to feature your keyed alike option. That's going to offer convenient one-key operation, so what that means is that this lock core can be made to match other Global Link lock cores. Two keys are included, so right now it's in the unlocked position. If I want to move it to the locked position, you place a key in, give it a quarter of a turn and that's all there is to it, and now that latch will not open. To unlock it, again you just place the key in, quarter turn, that's all there is to it. Pretty simple installation. 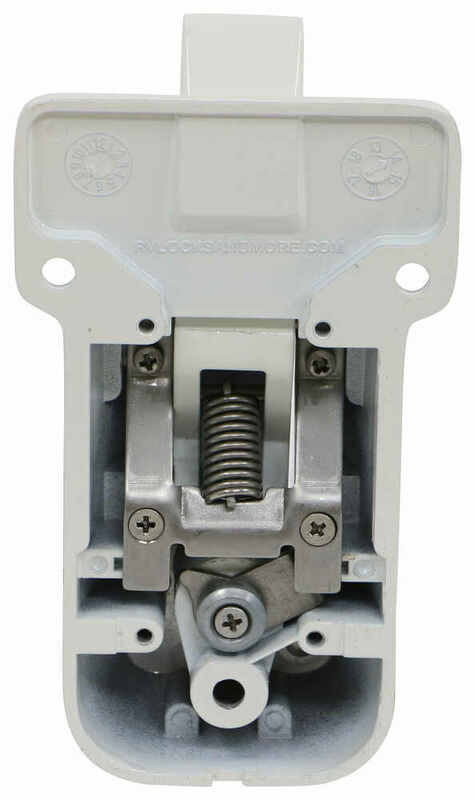 This unit attaches to your trailer in place of the hasp assembly. Installation hardware is not included. It can be installed vertically or horizontally, whatever works best for your application. The unit does contain a total of three mount holes, in that bottom mount hole or this one right here has a protective cap that goes over it. The unit itself is made from a sturdy steel construction. It's also going to feature rust resistant, white, powder coat finish. Taking a look at some measurements real quick, the overall length, measuring edge to edge, so from this point here to this point here gave us a measurement of about 6 1/4 inches. Just the body, so from this point here to this point here, that measures right on 6 inches. The width, this area, 2 3/4 and then the width at the widest point is 3 1/2, and then the overall thickness, from back to front, is about 1 1/4. The slot right here, that's going to have a depth of 7/16 of an inch at the narrowest point, which is down here at the bottom, and then a length or height opening measurement of 1 1/4. Your mount holes are going to be separated on center, this one and this one by 2 13/16 of an inch. These holes are separated from this hole at a straight line measurement, on center by 3 11/16 of an inch. All the mount holes have a diameter of 1/4 of an inch, and they are beveled, which allows the hardware to lay flush with the lock housing. That's going to do it for today's look at the Global Link Vice Lock for cam-action door latches. Order: RelevanceNewestRating - High to LowRating - Low to High This lock secures the handle on your trailer's cam-action door latch kit. 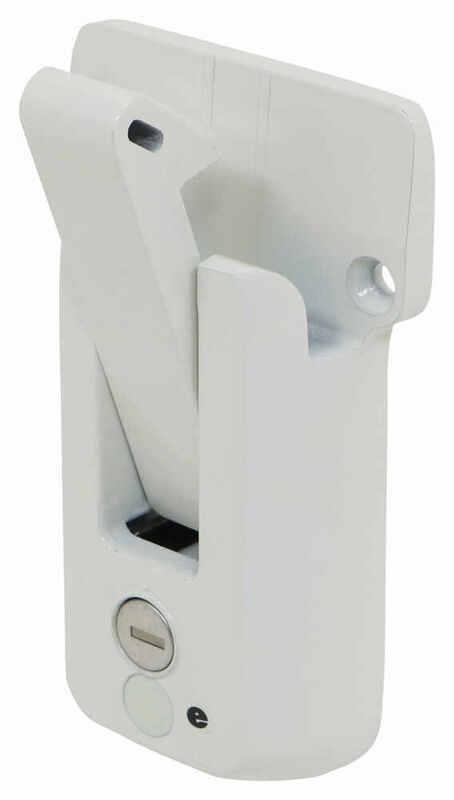 Just replace the hasp and padlock with this easy-to-use, secure vise lock. 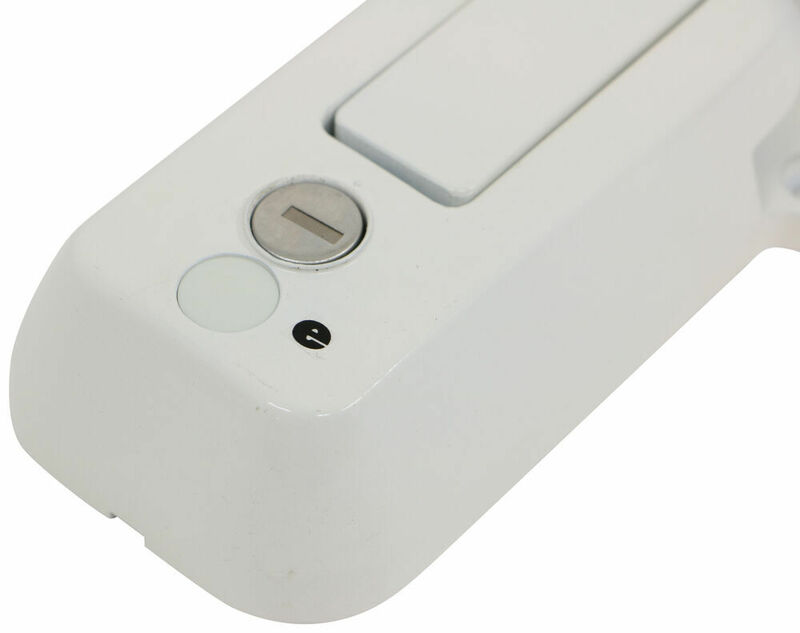 Spring-loaded lever ensures that the handle stays put, even if the device is left unlocked. Working great George. Used them about 3-4 times and they have panned out well. Product is great and Im actually using it for a gun locker for added security, I definitely recommended your product to others that have seen it. Thanks for the follow up. If you select "keyed alike" from the drop down menu on the product page of the Global Link Vise Lock Door Latch # 295-000026 and then enter a quantity of 2 as well the two you'd get would be keyed the same.